The best furniture showroom should incorporate great design, imagination, and the finest quality. It should be both a little fantasy and a lot of practicality. It should generate ideas and emotion, and above all, make you feel comfortable—after all you’re planning your home, your own personal sanctuary. 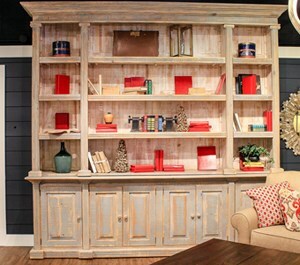 These are all the guiding principles that inspired Zak’s Fine Furniture showroom decor. At 65,000 square feet of furniture for literally every room in the house, Zak’s showrooms are some of the largest in region. Incorporating an open concept, you can stroll from living room to dining and office within one small space; look for lamps, stationary living room, a reclining sofa for the den and a mattress set with an adjustable base, in one shopping experience. As you check out our huge inventory, we invite you to compare prices. In addition to a large selection, at Zak’s we pride ourselves on making furniture affordable. We not only have affordable prices—we have the best pricing in the Southeast region! If you don’t see what you’re in the market for, one of our experienced design consultants can assist you with custom ordering that special piece, perfect for your home, from most every manufacturer. Over 49 years of furnishing the homes of our neighbors and families, offering decorating expertise and white-glove delivery service, Zak’s has generated the reputation as the premier furniture store in East Tennessee/Southwest Virginia and Western North Carolina. But as you hear on our television commercials, don’t take our word for it: “You gotta get to Zak’s!” Come see for yourself. Tri-Cities, Johnson City, Kingsport, Bristol, Blountville, Bluff City, Piney Flats, Elizabethton, Watauga, Unicoi, Hampton, Jonesborough, Boones Creek, Fourville, Princeton, Knob Creek Mill, Keystone, Asbury, Midway, Flourville, Gray, Oak Grove, Spurgeon, Fordtown, Colonial Heights, Lake Crest, Summersville, Fall Branch, Erwin, Telford, Limestone, Greeneville, Church Hill, and all of the great surrounding Tri-Cities area.